Very few traders consider the importance of the commissions and fees they pay when developing their trading strategies. Not only do commissions eat into every traders’ profits, but they can even make some day trading strategies outright unprofitable. 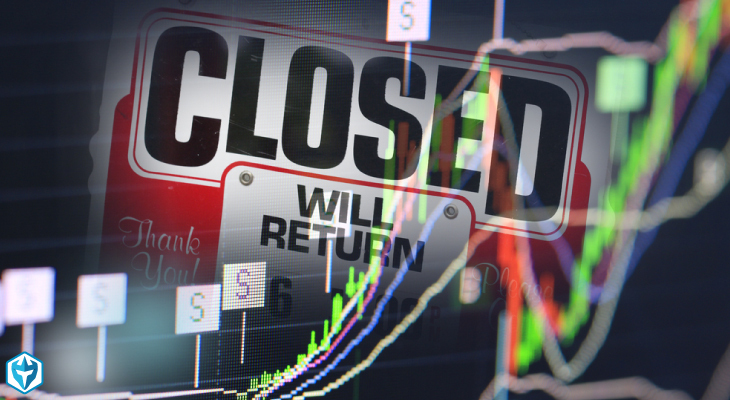 When having the lowest commissions and fees can mean the difference between the success and failure of a day trading strategy, it is important to know which retail trading brokers offer the cheapest commissions. However, the lowest commissions are not everything, so you want a top quality broker that also offers the tools active traders demand along with cheap commissions. 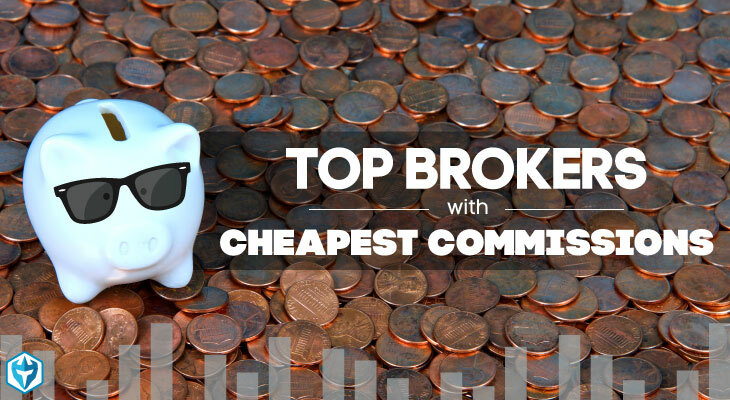 Here is our list of the 4 best brokers that also offer the cheapest commissions in the industry. Lightspeed Trading is a retail broker focused on providing the most versatile and effective trading platform and services for very active traders. Lightspeed Trading’s platform is one of the most advanced in the industry, with a wide variety of features, high degree of customization and first rate automation tools. 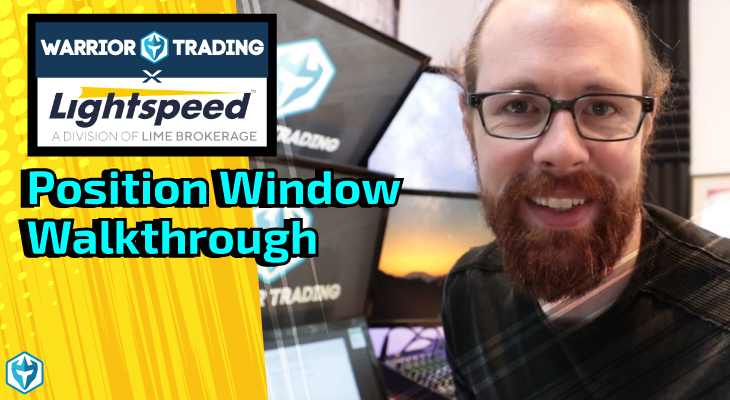 With a focus on high-frequency trading, Lightspeed Trading also maintains some of the cheapest commissions among retail trading brokers. 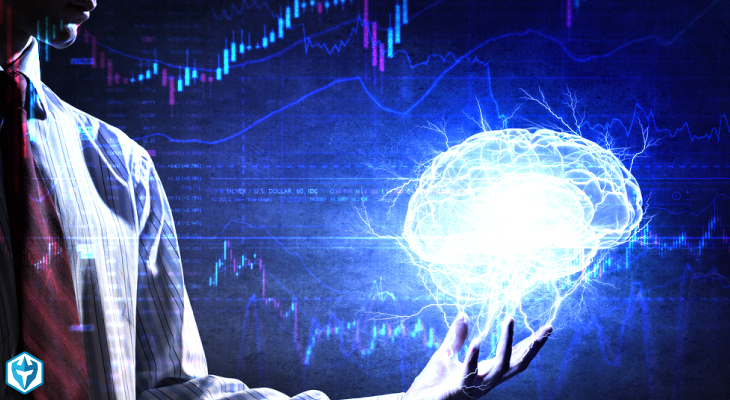 The commissions at Lightspeed Trading follow two different structures: per trade or per share. 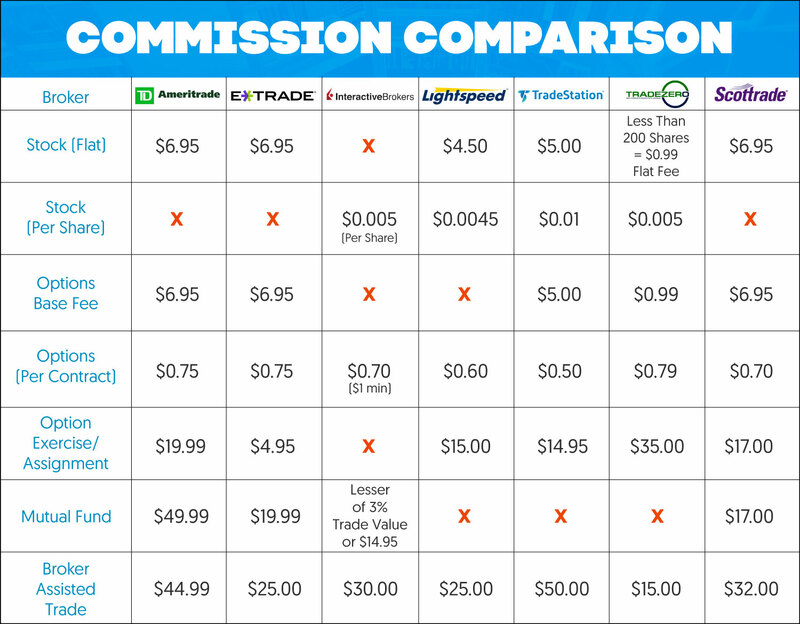 The per share commission is $0.0045 per share, with a minimum of $1 in commissions, or $4.50 per trade. Traders can also qualify for reduced per share commissions based on the number of shares that they trade per month. 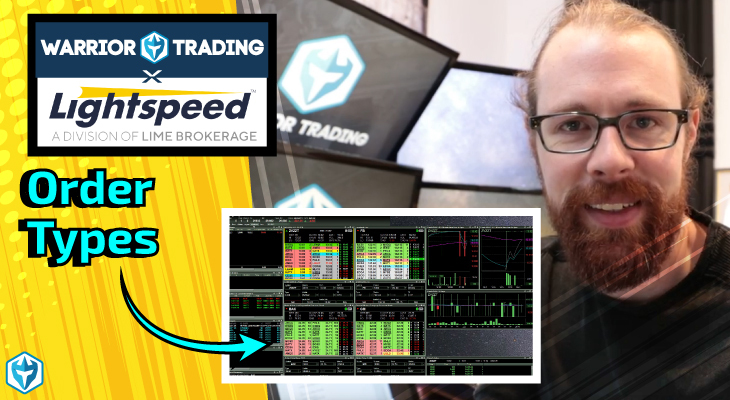 Trading options at Lightspeed Trading also features some of the cheapest commissions, with $0.20 per contract and a similar structure of reduced commissions based on monthly volume. 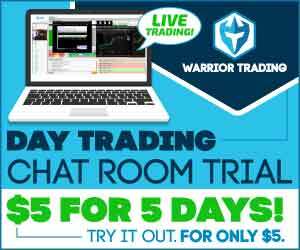 TradeStation is another top broker for active and committed traders. From industry-leading tools to the most competitive commission structures, TradeStation aims to enhance the success of their clients by offering a combination of the least restrictions with the most capabilities. TradeStation also offers the option of a per trade or per share commission structure. The per trade option is a flat rate of $5.00, which is lower than most competitors. The per share commission price is $0.01 per share, with a $1.00 minimum per trade, that is reduced to $0.006 per share after 500 shares traded in a month. The options trading commissions at TradeStation also follow either a per trade or per contract structure. The per trade commission structure at TradeStation is $5.00 per trade with an additional $0.50 per contract, which is reduced based on the number of trades in a month, or a flat $1 per contract fee. Interactive Brokers has been at the leading edge of the retail brokerage industry for decades. Interactive Brokers offers an advanced platform meant for experienced traders, and has always provided the highest quality services while charging traders the cheapest commissions. Interactive Brokers has some of the cheapest commissions in the industry along with the simplest pricing structure. IB charges $0.005 per share, with a $1.00 minimum per trade. The per share commission is further reduced based on the number of shares traded per month and the number of shares traded per order. Options trading with Interactive Brokers is slightly more expensive than its competitors, with a $0.70 per contract commission. 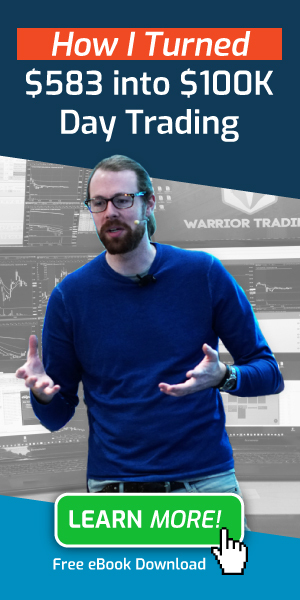 Trade Zero is an offshore broker that focuses on providing services to day traders who wish to avoid many of the US regulations that limit their trading strategies. Trade Zero has 3 different trading platforms, two of which have a monthly fee for data that is waived above a certain volume of shares traded per month. Trade Zero has a unique commission structure that often provides trades at no charge when an order adds liquidity to the market. If, for example, you place a limit order below the current bid price and someone sells to that order, you have added liquidity to the market and will not be charged a fee for that trade. For trades that do not add liquidity, Trade Zero charges $0.005 per share with a $0.99 minimum, while option commissions are $0.79 per contract with $0.99 base fee per trade.